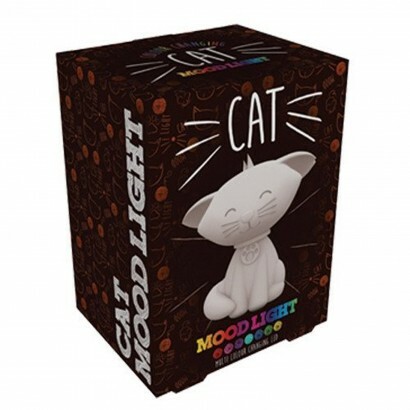 A puurrrfect mood light for kids rooms, this sweet little cat light contains colour change LEDs that take it through seven different colours for a relaxing glow. 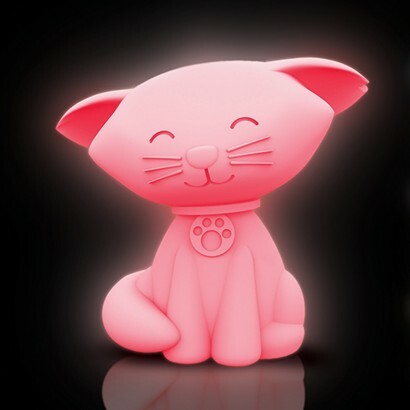 Battery operated, this cute feline can be placed anywhere in your home for soothing colour mood lighting, can be used as a night light or can be taken on sleepovers for reassurance offering the comfort of light and mesmerising colour change effects. Excellent website with plenty of choice. Very happy with my purchase and delivery was speedy.